I heard some people talking about change garnets in a bead shop. At the time I thought they wanted to exchange garnets. That wasnt the case at all as I was about to find out. They left and I saw these beads on the counter. What are these I asked. Change Garnets. Yes, I know garnets. They are red to blackish red and even green. I love the Czech garnets best of all. You mostly see those in victorian pieces of jewelry. Very politely it is explained to me that these garnets appear champagne color and in different lighting they get pinkish. Now I understand, they change color. Only very good quality stones do this. 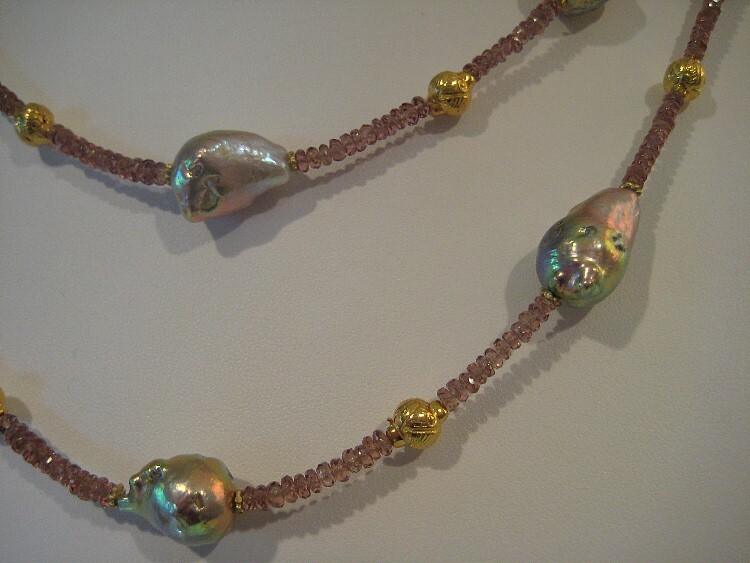 To bead or not to bead…that is a question I ask myself. These are tiny! I basically made a monotone necklace. The change garnets sparkle and do change color. 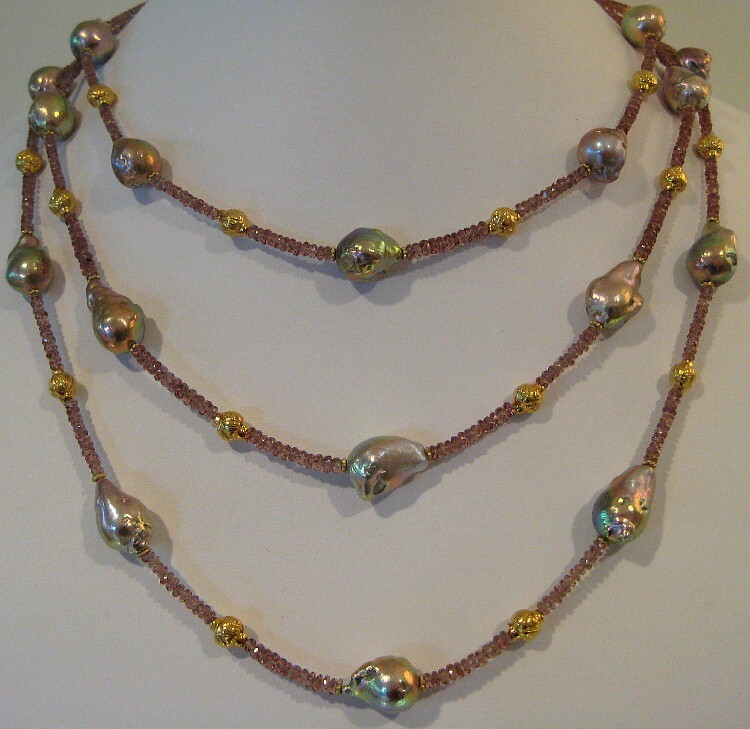 I thought this combination of pearls with a lot of iridescence would be great on any skin color. I love the organic shapes too. 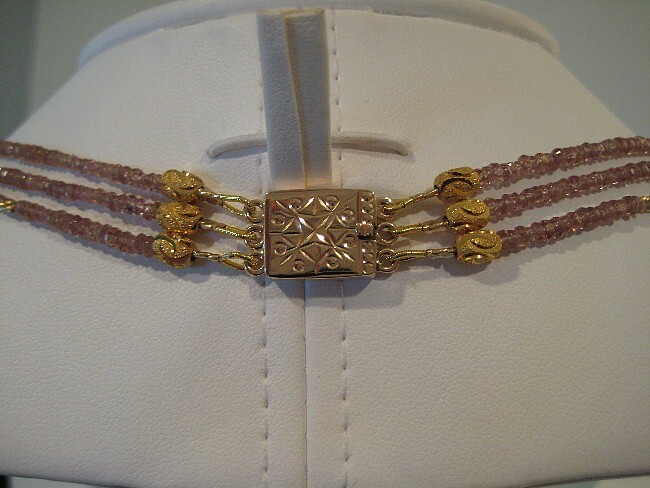 I went all the way and added 18k gold beads and 18k clasp.